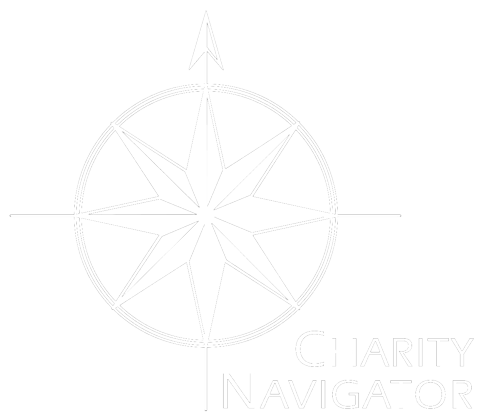 Charity Navigator Four Star Charity (2006-Present); top recognition from America’s premier independent charity evaluator. According to Charity Navigator, only 13% of the charities they rate have received 3 consecutive 4-star ratings, indicating that Futures Without Violence consistently executes its mission in a fiscally responsible way and outperforms most charities in America. Webby Awards (2016) Futures Without Violence (FUTURES) announced today that it received its first Webby Award for That’s Not Cool, a website aimed at preventing teen dating violence and digital abuse. That’s Not Cool was awarded best website in the charitable organization/nonprofit category. Communicator Award of Excellence (2016) The Communicator Awards recognized Future’s Without Violence’s That’s Not Cool websites, awarding the excellence award for best teen and best activism website, respectively. FBI Director’s Community Leadership Award (2011): The San Francisco division of the FBI recognized Futures Without Violence for extraordinary contributions to violence prevention. Y-Pulse GennY Award Finalist (2011): The GennY Award honors initiatives that use new and innovative techniques to connect with teens, tweens, and college students. Futures Without Violence was recognized for its innovative public education campaign, That’s Not Cool. Mujeres Unidas y Activas 2005; Quinceañera (15 Year Anniversary Celebration) Recognition Award for Futures Without Violence, formerly Family Violence Prevention Fund, work on behalf of immigrant women, survivors of domestic violence. America’s 100 Best Charities (2002 and 2003); selected for this esteemed list by Worth Magazine two years in a row based on an analysis of skill, innovation, effectiveness, and strategic insight. Asian Women’s Shelter Award (2002) is an organizational honoree and recognition at annual community event. Sara Lee Foundation Award (1998) for leadership in the field by the Sara Lee Foundation, and was hosted to a San Francisco event by the Foundation to acknowledge the organization’s staff amongst its local allies. AllState Safety Leadership Award (1997) for the There’s No Excuse for Domestic Violencepublic education campaign. Clarion Award (1995) from Women In Communications, Inc. for best multi-media advertising campaign. 20th Annual Commendation Award (1995) given by the American Women in Radio and Television, Inc. recognizing the There’s No Excuse for Domestic Violence public education campaign. ADDY Award (1995) for “The Best of Print Advertising” after the launch of the There’s No Excuse for Domestic Violence public education campaign. Gold Quill Award of Merit (1995) presented by the International Association of Business Communicators, Division of Community and Government Relations, to both Futures Without Violence and Marshalls Against Domestic Violence for cause-related marketing. San Francisco Commission on the Status of Women Certificate of Achievement (1995)for enormous local community impact. Victim Service Award (1984) from the office of the Governor of California in recognition of outstanding contributions to improve the quality of life for all Californians. John R. May Award (1982) from the San Francisco Foundation for excellence in community service.